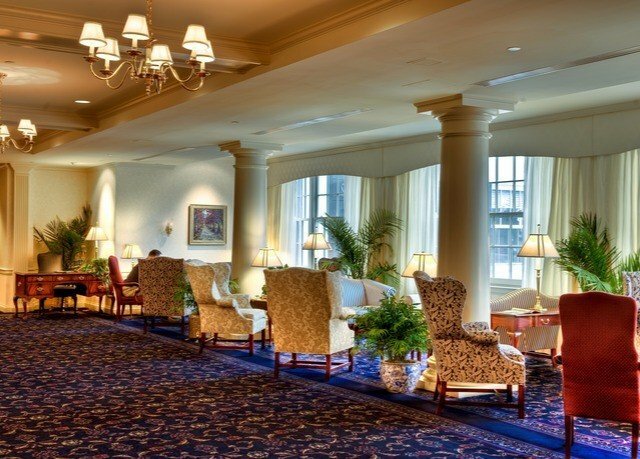 The highest point in Eagles Mere, Pennsylvania, Crestmont Inn crowns a peak of 2,200 feet. 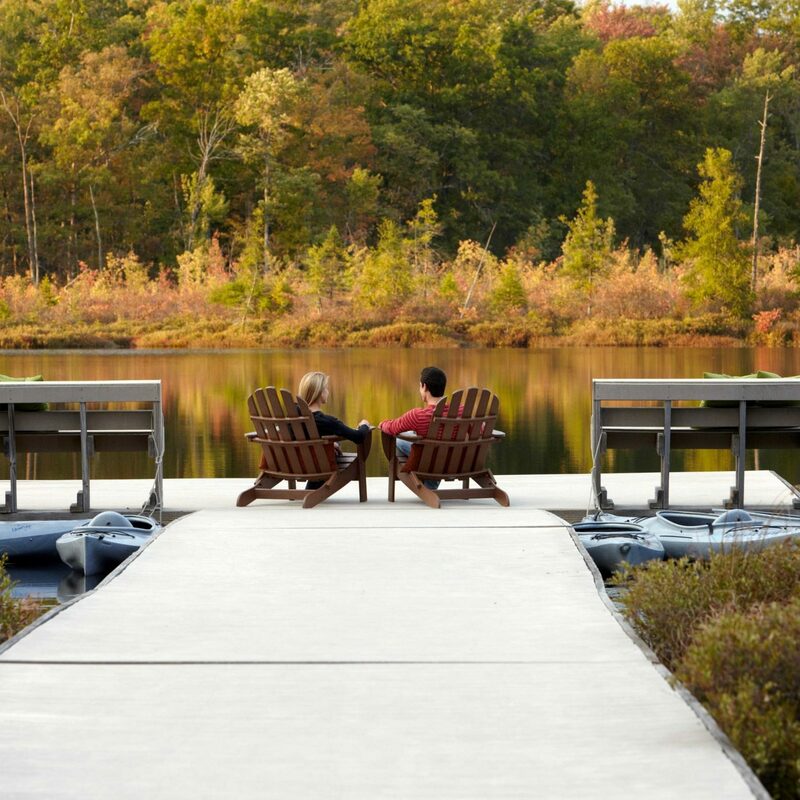 To many, it’s a high point for another reason, too – namely, its quaint country charm. 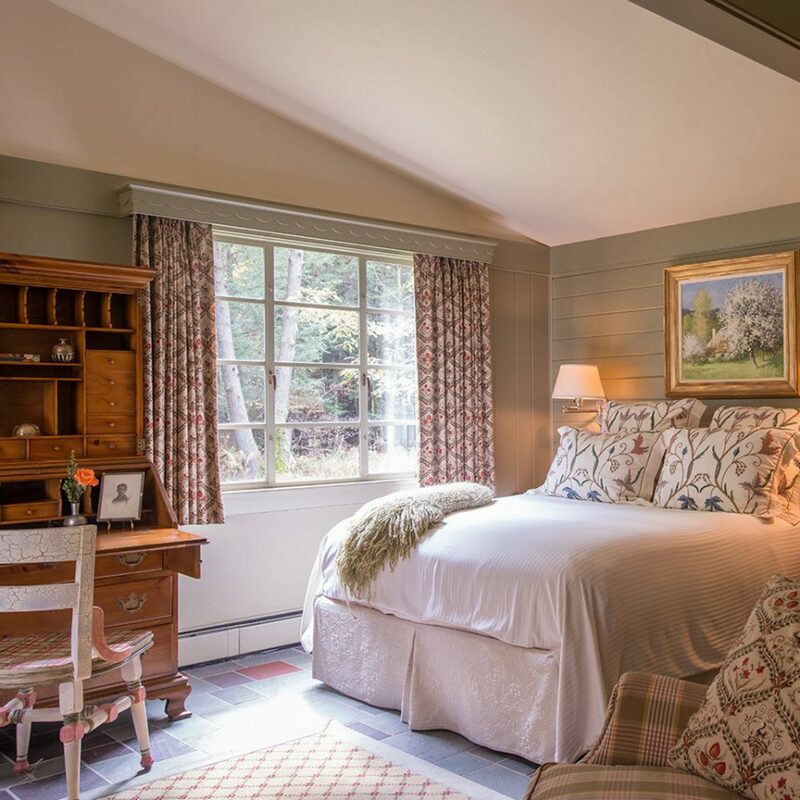 The bed-and-breakfast is an inviting getaway, each accommodation individually themed and each meal in the gracious dining room thoughtfully prepared, often with farm-fresh ingredients. 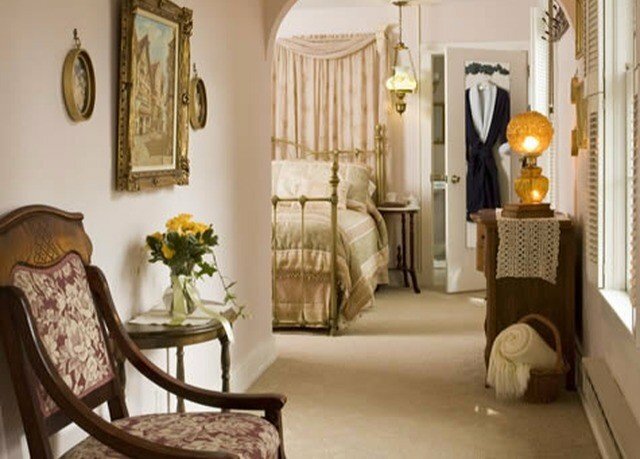 Five-star reviews abound on TripAdvisor, and the stay’s even earned itself a spot in BedandBreakfast.com’s Diamond Collection. The setting is another draw of the historic property and has been one, in fact, since the early days. When the inn first opened in 1900, many of its guests came to partake in all the forms of regional recreation available in surrounding nature: hiking, swimming, boating… These activities remain popular today, as do skiing and tobogganing in the winter, and the location in the heart of the Endless Mountains remains one of Crestmont’s greatest attributes – the jewel in its crown. 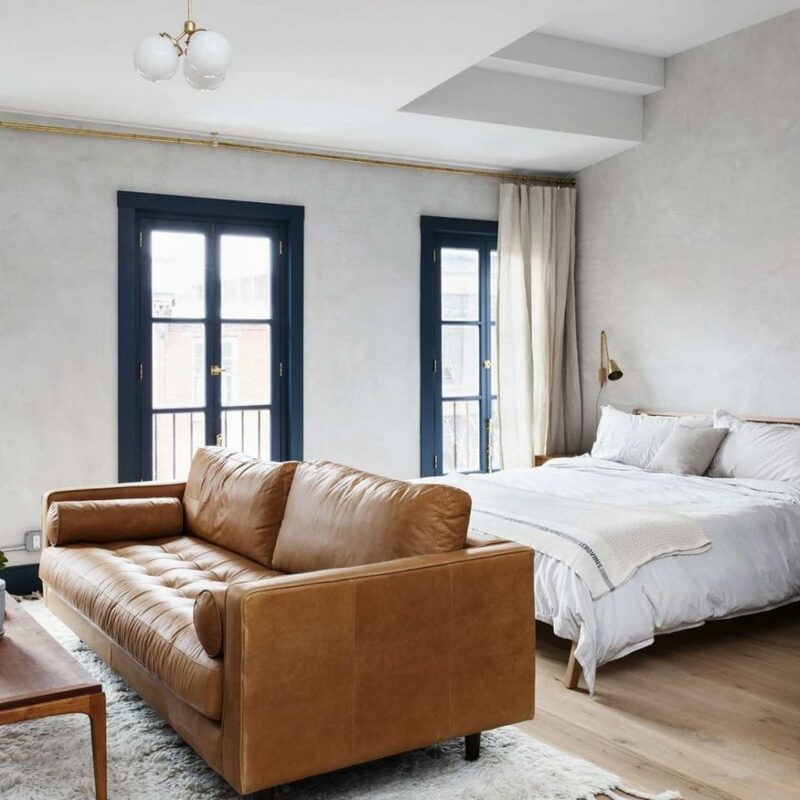 The inn’s 15 suites are spread across three floors. 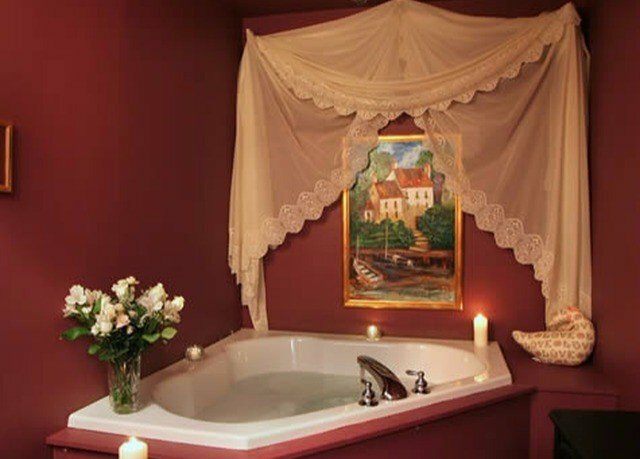 Each is individually decorated in the charming country style, and all have a flat-screen TV, Wi-Fi and a private bath. 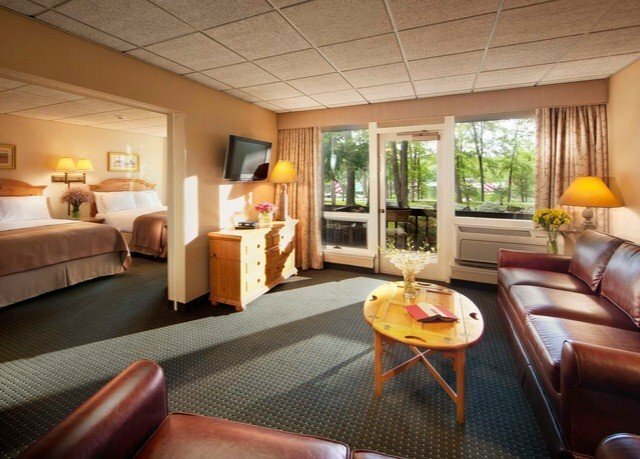 Standard suites are the smallest of the bunch and hold a queen bed. 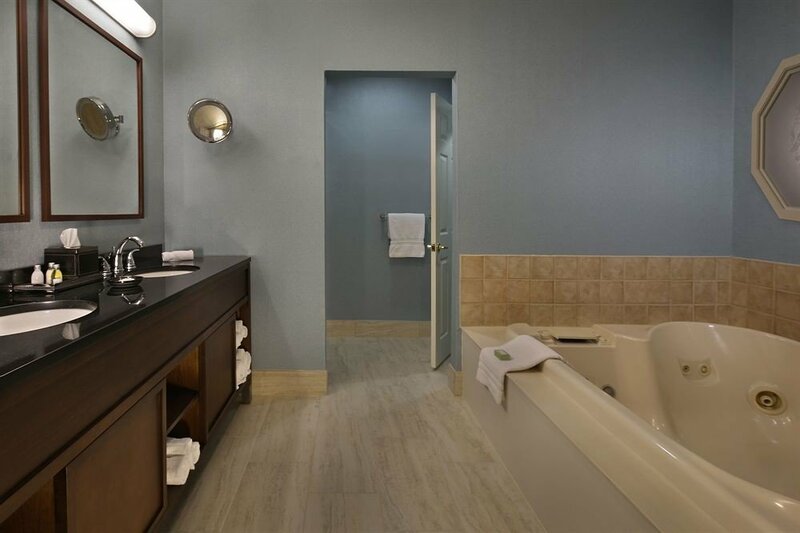 You’ll also have a queen bed in the Deluxe suites, but the accommodation and its bathroom are larger; these suites also include a sitting area, refrigerator and a larger TV. Luxury suites, meanwhile, are very spacious and hold a king bed, plus a DVD player. Some of these roomy suites also have a fireplace and walk-in shower. Seven days a week, the century-old Wash House is the setting for breakfasts of dishes like hearty vegetable omelettes and fresh pancakes. 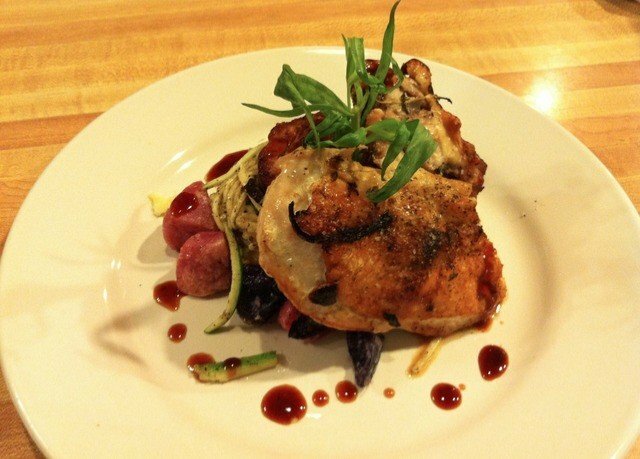 The restaurant also serves gourmet dinners, complemented by a pub-style menu of chicken wings and pizzas. 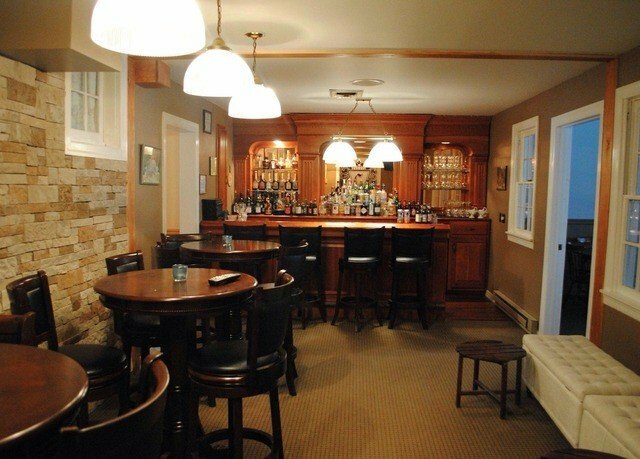 Depending on the weather, you may have the option of taking your meal on the outdoor flagstone patio, which boasts a fireplace and a bar; otherwise, dine indoors, in the elegant main dining room or the pub room, which overlooks the woods. 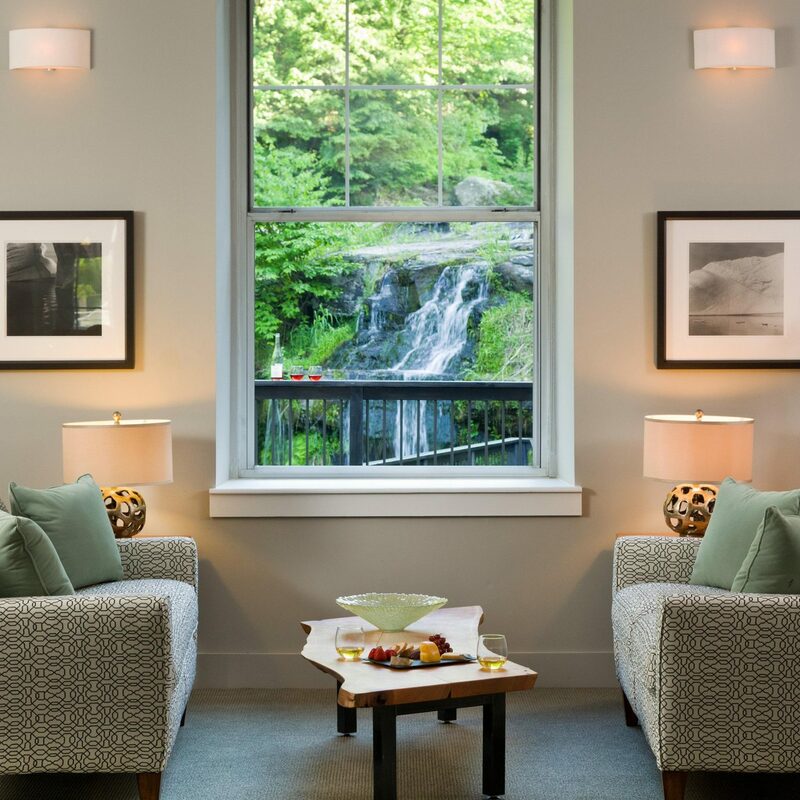 In the heart of the Endless Mountains, Crestmont Inn boasts easy proximity to expanses of unspoiled nature, from forests to waterfalls to lakes to striking rock formations. 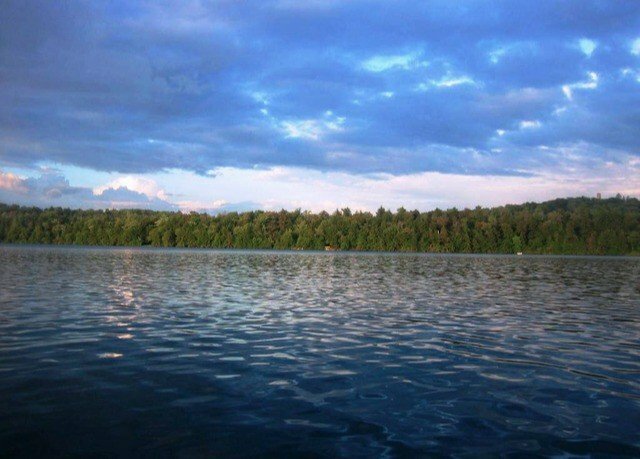 It goes without saying that you’ll have lots of choice in the way of hiking, while fishing, boating, skiing, tobogganing and swimming are other activities that are available in certain seasons. 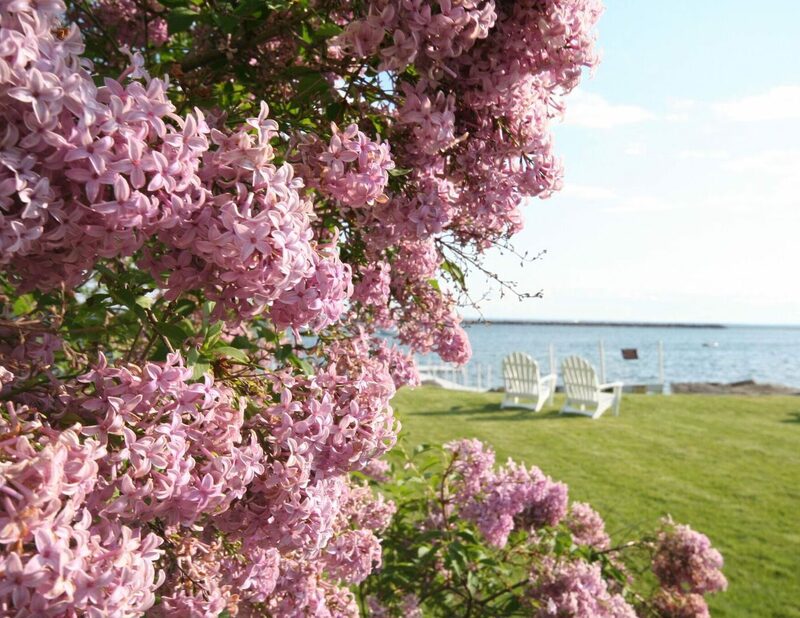 You’ll also have your pick of two museums and a number of farm stands and quaint shops that sell such wares as elegant antiques and handmade jewelry. And if you’d like to visit a local winery, the hotel can recommend several within driving distance. Loved it here. The food was amazing. The room was lovely. I t wax nicely decorate and comfortable. . If stay here again. We had a room on the second floor. If you have mobility issues request a room on the first floor. 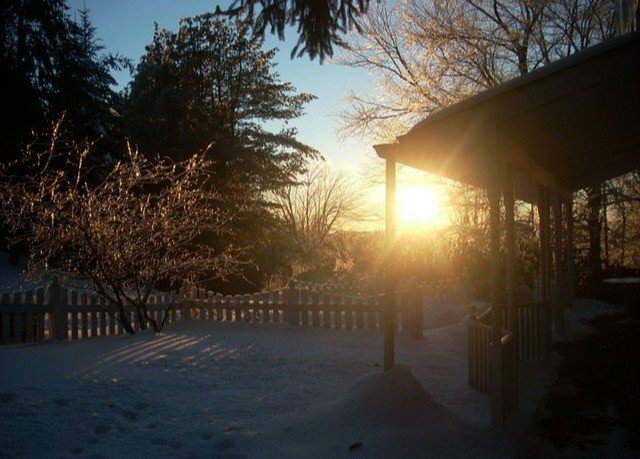 My husband and I spent one night here as we traveled back towards home. This was our second visit as we had a wonderful stay many years ago so fond memories brought us back. First of all they were incredibly disorganized with our reservation. I made our reservation online but had a question so I called...and called.....they never answered the phone and so I always left a message. They would call back but the first message to us the woman basically said she didn't know what we were talking about. I called back to clarify, again no answer so left message. They called and again left us a message stating that "The room you say you booked is already taken for that night". Confused I called again.....of course no answer so I left a message stating that we are the ones that are booked in the room and I have the reservation number. I don't understand why they didn't cross reference the name on reservation with my name. Finally I found that emailing worked better as I got a response right pretty quickly. I got an email confirmation that yes we have the room. When we arrived...YES we did have a room...few. Check in went well and we headed to our room. As others have stated, the rooms (or at least our room) was very outdated, dark and the mattress literally had marks from where people sleep.The bathroom was the level of a cheap motel which is fine if that's what you are paying for. BUT we were determined to have a fabulous time and since we don't typically sweat the small stuff we did. We enjoyed our dinner, although we had to ask for bread when it was given to the table next to us but none offered to us and my husband's dinner was served with fries instead of the nice salad that was supposed to come with it....(fries were not even on the menu) so they had to switch that. When we arrived for breakfast the servers were super friendly but running around like crazy and nicely told us that they were just too busy and they would get to us when they could....We sat in the front dining room by ourselves until they finally came to serve us. This really was not a bother as we were basically just enjoying our time together. Breakfast was delicious and as I said earlier, the servers were delighful. Let me just say I was disappointed with this B&B. The room I chose was big enough but, very outdated. I know it is quite old but, the furniture was in need of updating. The bathroom was in my opinion not very clean. Then again I have high standards for a clean bathroom. The drain in the tub had a green ring around it and with some elbow and effort that stain will come out if properly cleaned. Also the vanity was cracked and as well not clean. Toilet bowl could have used a new seat. We stayed for 1 night and I purchased this on Groupon with my sister-in-law and brother-in-law. Not much to do this time of the year, everything closes down Labor Day. We did make due with the beautiful weather and nature hikes, with spectacular views. The dinner we received with our package was good but, not worth the price if you would have had to pay for it. 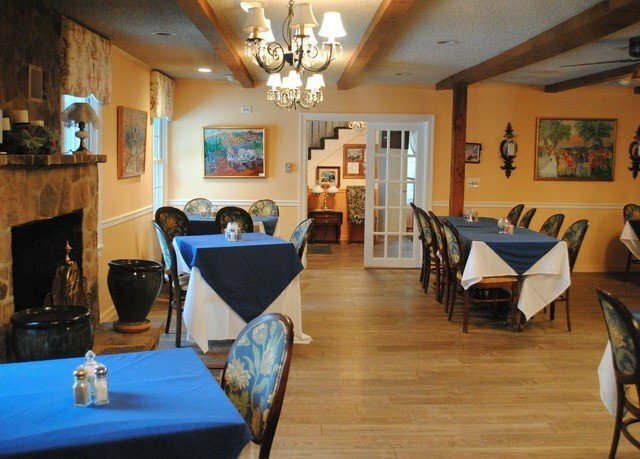 I had the Salmon and it was tasty and plentiful, my husband had the chicken marsala which was very dry. The breakfast the next day was very good. I had the apple crumb French toast....excellent. Coffee was delicious also. My husband being a big breakfast person did not think it was enough. Don't think I would go back again, not much to do even if you would go in the summer. Had a nice visit to the Crestmont Inn. Sue the receptionist/ waitress/ maid, was very nice... I don't know what Tony would do without her. The room was clean, and charming. Food was good depending on what you order. The crab cake was not one of them, not one piece of lump crab meat in it. Wine and Chocolate covered strawberries were excellent. I would go back again. Enjoyed their dog Bella... Not much to do around there, but that is why we got away , to relax, and not do anything. All in all it was a enjoyable couple days. 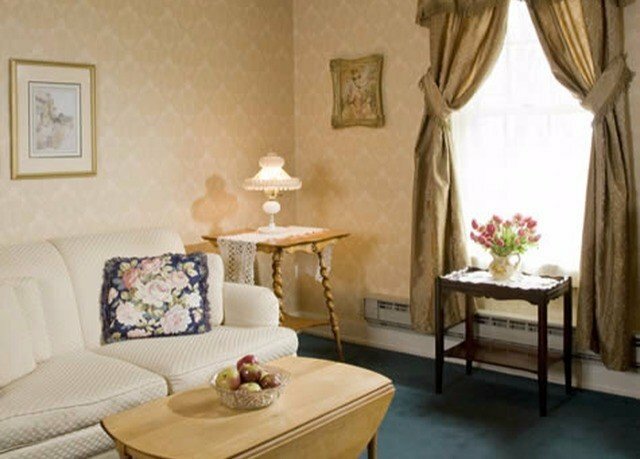 I purchased a one-night stay at the Crestmont Inn on Groupon. When I called to make the reservation I was told there were three rooms available the night I was planning to make the reservation. After I had mentioned I purchased a one-night stay on Groupon, I was told there was actually only one room available - the Oliver Garden Room. Although the Groupon terms said I was entitled to a one-night stay in ANY room at the Inn, I relented and booked the Oliver Garden Room. After booking the room I attempted to contact the Inn on several occasions to confirm the reservation (I was told I would receive an email confirmation of my reservation, but never did). It was nearly impossible to get a hold of anyone at the Inn. I eventually received a voicemail message confirming my stay. 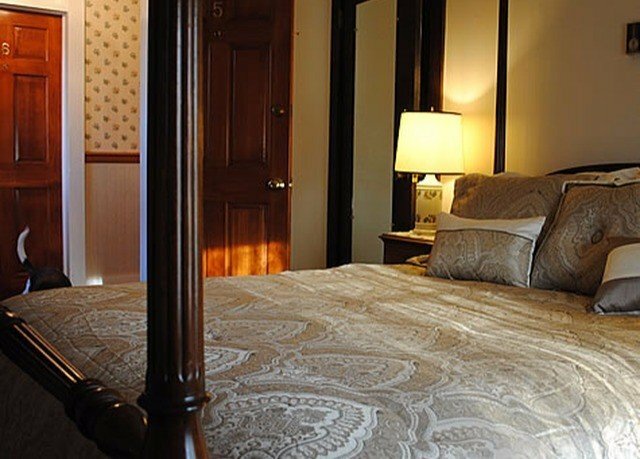 When my boyfriend and I arrived at the Inn, the room we booked did not look remotely like the room advertised on their website (see the attached pictures, they speak for themselves). Although the room was clean, it was cheaply done and it felt like we were staying in a motel, not a charming B&B. On Groupon I purchased the "romance package" which included dinner and a bottle of champagne and strawberries. Despite asking for the champagne TWICE, the champagne never arrived. When I brought this to the attention of the front desk staff, they told me they knocked on my door but I was not there to receive the champagne, so they took it back. When I inquired about it again, they didn't seem to care because the champagne never arrived. The dinner was decent, but the service slow. Furthermore, I ordered chicken marsala but I received penne pasta with some chicken thrown in (with extra salty watery sauce). This is not the type of chicken marsala I am accustomed to (or the chicken marsala advertised on the Inn's menu). All in all, this B&B was a disappointment. 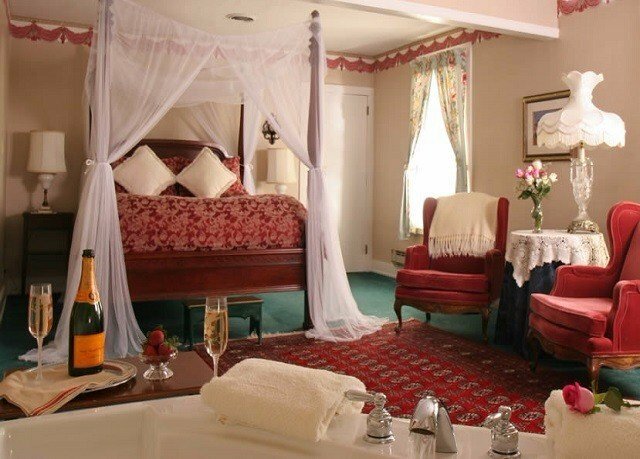 The room was not as advertised and the staff could care less whether or not we received the champagne we paid for as part of the "romance package." 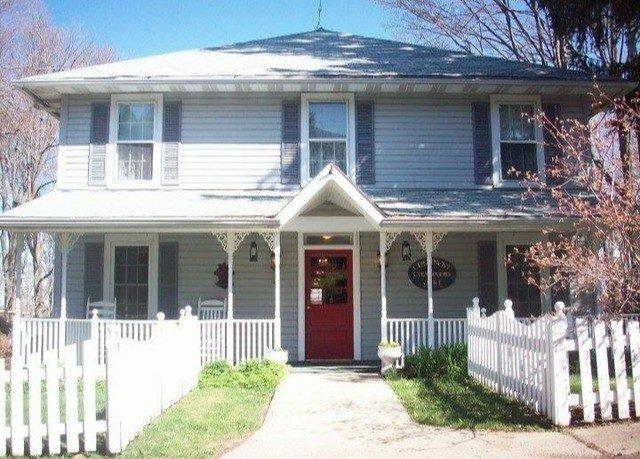 This B&B is currently on the market, and the owners do not seem to care less about the service and/or the customers. It seems like the only thing the owner cares about is making a quick buck off of Groupon customers and selling this property ASAP. I decided to purchase the Groupon because of the positive reviews I read here on TripAdvisor. Unfortunately, my experience was poor. I have a sneaking suspicion there is a special "economy" room reserved for Groupon members only. 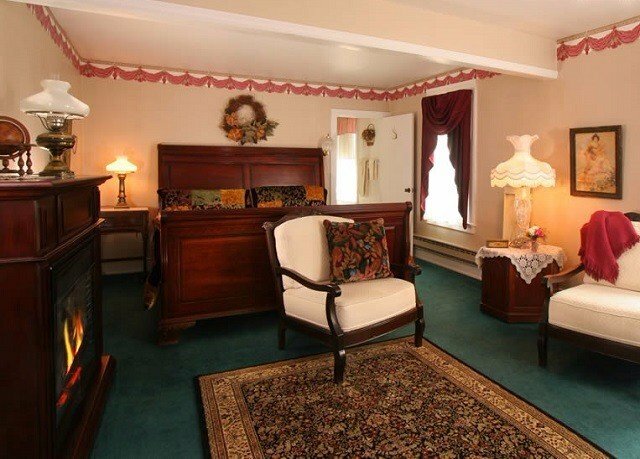 Think twice before you book a stay at this B&B. The only reason I rate this 2 stars instead of 1 is because the room was clean (although the pillows and mattress were clearly old).